Placing a Blue Celestite in your home or office can help lighten the mood and create a peaceful atmosphere. 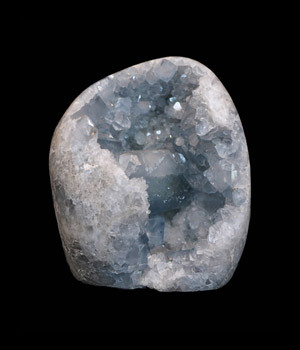 Blue Celestite is a gentle crystal with an uplifting vibration. It’s known to ease stress, grief and worry. 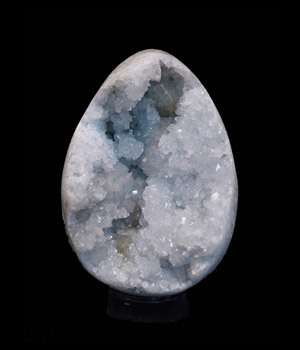 Placing a Blue Celestite in your home or office can help lighten the mood and create a peaceful atmosphere. It promotes creativity and mental clarity and is used to remember dreams. 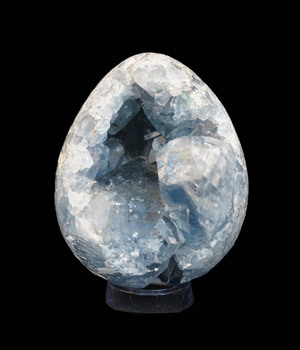 Blue Celestite is an orthorhombic sulfate crystal found in sedimentary rocks. The name celestite, and it's soft blue color, are both derived from the Latin word “caelestis” meaning celestial. 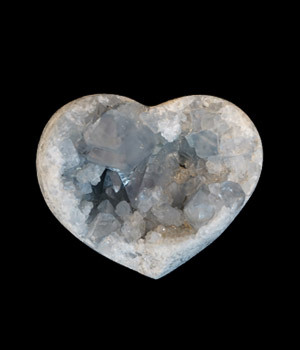 Throughout history, Blue Celestite has been associated with heavenly realms and angels.